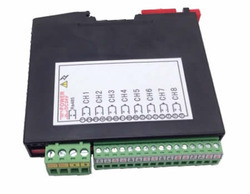 Our range of products include kh-7014 khoat 4 channel isolated input module, khoat kh 701r s 8 relay ssr output module, kh-7018 khoat 8 channel isolated input module, kh-7018e isolated universal input module and input output modules for yudian instruments. 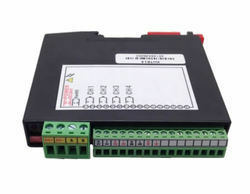 KH7014, Khoat Multi-channel analog input module, is used the advanced technology, to be designed high quality and performance, high accuracy and isolation, super thin and small size, to be aimed to log multi channels analog input signal for temperature, humidity, pressure, flow, linear voltage, linear current, battery pack etc parameters in process control field, can achieve RS485 field-bus communication based on standard MODBUS-RTU protocol in various industry application. Can be made of districted paperless recorder system with our KH800G recorder. Operation Easy to operation, user-friendly, only connect sensor and PC software for data logging. Built-in safe guider ensures system’s high safety. Universality: HMG patented self adapted chip built in. conveniently connect to the network. 350V photoelectric isolation,between RS485 interface and module upto 450V isolation channels. Photoelectricity coupling utensil relay isolation Convinient to Use. Can build multi-dot distributed network. 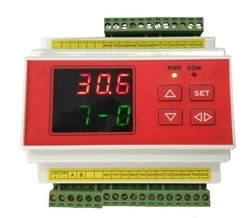 KH-7018, Multi-channel analog input module, is used the advanced technology, to be designed high quality and performance, high accuracy and isolation, super thin and small size, to be aimed to log multi channels analog input signal for temperature, humidity, pressure, flow, linear voltage, linear current, battery pack etc parameters in process control field, can achieve RS485 field-bus communication based on standard MODBUS-RTU protocol in various industry application.
. Can be made of districted paperless recorder system with our KH800G recorder. 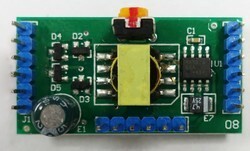 Easy to operation, user-friendly, only connect sensor and PC software for data logging.